I climbed the stairs of the Queens Head in North Hobart, and nervously found my way onto the dancing floor at my very first swing dancing lesson. There was a room full of people. Some were possibly also at their first lesson - they looked as out of place as me. Others were obviously much more experienced, or perhaps just unnaturally talented. They seemed to get the hang of things very easily. I struggled a bit. But, I had a huge smile on my face. Leaving the class, I saw a group of people downstairs at the hotel, dancing to a live jazz band. They looked so intimidating. I got the hell out of there as fast as my two left feet could carry me. Over the next couple of weeks, I didn’t go back to another lesson, but I thought about it. It was always in the back of my mind. I think it was the music. I LOVED the music. The dance was still scary. But JAZZ!!! So after a month or so, I summoned the courage to attend my second swing dance lesson. I still struggled, but I was hooked! And by hooked, I mean I found myself travelling all over Australia to huge (and tiny) swing dancing events. Melbourne, Brisbane, Perth and Canberra! (…surprisingly never Sydney ¯\_(ツ)_/¯) These events had up to 300 different dancers attending, all riding the same jazzy adrenaline train, from 8pm to the early hours (sometimes even 6am) of the morning. We made lifelong friends with complete strangers. We laughed. We sweat. We got sad when it was all over and booked our flights to the next big event. Of course my favourite is my wife – Mary! We met through dancing. I was very very new and she had been dancing a while. I was smitten and knew that I would need to get really good, really quick if I was going to stand a chance at impressing her. So I took every lesson I could, practiced at home and triple-stepped my way everywhere until I was good enough to get her attention. I did alright. My love of the dance also extends to my love of the community and what I can do for the community. 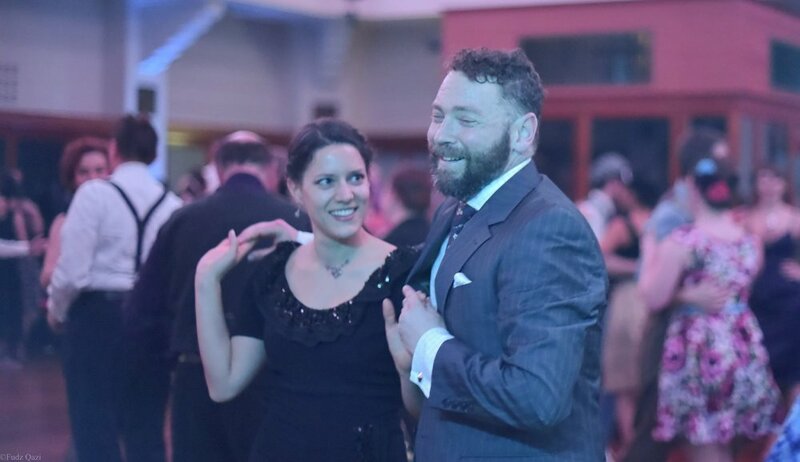 I’m lucky enough to teach swing dancing with Tasswing. I adore teaching beginner students. I was also a member of the performance group Lindy Mob for a few years. We got to perform all over the place! The Clarence Jazz Festival, Gatsby themed birthday parties; even at ritzy balls! Clarence Jazz was always my favourite – especially performing in 35 degree heat! 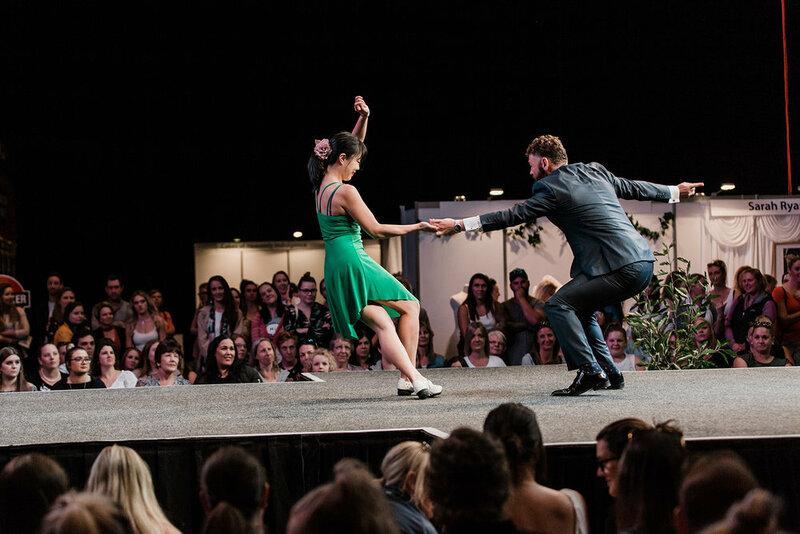 Before I was a celebrant, I taught private lessons for couples to prepare for their wedding dance - such fun! I even got to perform at the Pure Bride expo earlier this year! We were sandwiched between elegant bridal gowns and buff men in underwear. All in a day’s work I guess. The thing I love the most is the music! Ella Fitzgerald, Count Basie, Duke Ellington, Billie Holliday! Such wonderful songs and powerful rhythms. I sometimes even get to be a DJ at events around Australia. This is probably my favourite thing to do because I’m old and I get tired these days. Finally, the most magical thing about this hobby is the swing community. We inspire and support each other. We have each other’s backs. We share memories and laughter and smiles and pizza. Going to that first lesson was a great decision.